The ACIE Editorial Staff thank the Asia Society for giving us permission to reprint this edited version of an article that originally appeared in its online newsletter for Chinese Language in the Schools (see footnote). Acting as the principal of Woodstock Elementary School, in Portland, Oregon these past four years has been an incredible journey and privilege. On a daily basis I have the unique opportunity to work with my teacher colleagues offering a Mandarin language immersion program to students in kindergarten through fifth grade within a public school setting. Woodstock is one of five schools within the Portland Public Schools District (PPS) that offers Mandarin language instruction and is part of the Oregon Chinese K-16 Flagship Program. We strongly believe that if we truly want to prepare our children to function successfully in a global society, it is imperative that we provide them with the opportunity to learn a second language at an early age. The Mandarin immersion program began in 1998 with the support of the PPS School Board. It was placed at Woodstock Elementary because the building had available space. It began with a blended kindergarten/first grade class. Additional classes were added as these first students moved forward through each grade. When I joined the program four years ago, our first group of students was moving on to the middle school level. Currently the program extends through grade 9 at Cleveland High School, with plans that it will continue through grade 12. In order to provide a sufficient foundation for the middle and high school programs we expanded this past fall to include an additional kindergarten class. Our goal is to offer two classes of Mandarin at each grade level K-5 by the 2010-2011 school year. Administering a program of this type is highly rewarding and equally challenging. Issues related to building a cohesive school climate, selecting and supervising school staff and articulation of the curriculum are often strongly influenced by cultural differences, and district and state requirements. There are approximately 375 students currently enrolled in the school. Of these students 230 are enrolled in the Mandarin program. Families who wish to enroll their child in the traditional neighborhood, or English, program may simply register at the school office. Any family who wishes to enroll their child in the Mandarin program must apply through a district lottery system. As the administrator of the school, I have had the task of setting up building procedures to handle separate registration processes for both programs. Placing a special focus program into an existing neighborhood school can easily create tensions between the two communities. At Woodstock we have always believed in operating as one learning community. The immersion program is fully integrated within the traditional neighborhood school and I intentionally take a number of steps to reinforce this. I begin with the language I use when talking to students, parents or community members about our school. I refer to the traditional program as the English rather than neighborhood program. In this way I set the focus on two languages, rather than on two separate programs. Another step is to mix the students in both programs together for academic and enrichment classes. Since we offer a 50-50 immersion model the Mandarin students spend half their day learning to speak, read and write in that language. Math and science instruction are integrated into that portion of the day as well. When they shift at mid-day to their English classes, the grade level cohort is split in half. With a cohort of thirty first-grade Mandarin students, for example, fifteen would join one English class at mid-day and the other fifteen would join a second English class at the same grade level. During the second half of the day they would work with their English peers developing their English literacy skills and receiving social studies instruction. We believe that this model has had a very positive impact on the overall climate of the building. In addition, we use the arts and school assemblies to reinforce the concept that we are one learning community. Student-created murals grace two separate walls in our building. Each depicts images of both Western and Eastern cultures engaged in joint activities. At weekly school assemblies we focus on school-wide behavioral expectations, celebrate student achievement and recognize students who have successfully taken on leadership roles. Both of these steps strongly promote a sense of community within our school. Helping to establish open and collaborative communication between the parent groups for both programs is equally vital to maintaining a strong, cohesive school climate. At Woodstock, we have a strong Parent Teacher Association (PTA) and a very dynamic parent support group for the Mandarin program called Shu Ren. I invite the chairpersons from both groups to meet with me jointly to collaborate on fundraising activities and to coordinate school events offered individually or cosponsored by both groups. Our Site Council has one elected parent representative from the English program and one from the Mandarin program. In this way parents from both programs have an equal voice in the development and implementation of our School Improvement Plan. Parents with children in both programs often have questions about the allocation of available funds and materials, classroom configurations, teacher expectations and a myriad of other issues. Creating opportunities for this type of collaboration greatly assists me when considering innovative suggestions offered by our families, and in addressing their concerns. Another realm of responsibilities for the principal is the selection and supervision of teachers. This presents unique challenges when seeking new teachers for our Mandarin program. It is very difficult to find teachers who are bilingual and biliterate in the simplified Chinese character system, as well as trained and experienced in implementing American instructional practices. We have worked hard with our local universities and with the Oregon Teachers Standards and Practices Commission to address licensing issues for these teachers. If we are serious about providing our students with a comprehensive education that will prepare them to live and work in a global society, it is vital that our college and university teacher preparation programs begin to address this need aggressively. Working with our staff has greatly increased my personal appreciation and awareness of cultural differences. I have learned that my Chinese teachers have very different expectations for me as an administrator than do their counterparts in the English program. While the English teachers want and expect to have a high degree of collaboration and a voice in decision-making, the Chinese teachers generally expect a more hierarchal approach. Differences in philosophy about student motivation, discipline and instructional practices can also be quite distinct. I have learned that I need to be sensitive to these differences both in my interactions with the staff and in my work with the parents. It is important to create opportunities for teachers in both programs to meet together in grade level and across grade level teams to discuss these issues. Targeted staff development must also be provided. In addition to school climate and staffing issues, I also deal with a myriad of decisions related to the curriculum associated with the Mandarin program. When our program began the teachers used our district and state standards to identify the academic content that must be covered at each grade level and then determined which areas would be presented during the English versus the Mandarin parts of the day. In this way we have integrated math and science instruction into the Mandarin program. Over time we have adapted the curriculum and instruction based on student achievement data at each grade level. An index of Chinese characters for downloading can be found at http://chineseculture.about.com/library/symbol/blcc.htm. We are currently in the process of refining our Mandarin language curriculum framework by attempting to address a number of questions that include the following: What are the language forms and functions that will be taught at each grade level? What is the related vocabulary? How will this be articulated across the grade levels? As this framework develops fully it will become important to work closely with the teachers as they utilize the curriculum and make adjustments to their instruction. Acting as principal of Woodstock Elementary is perhaps the most rewarding professional experience I’ve ever had. It gives me great hope as I watch our students becoming bilingual and biliterate in Mandarin. As China’s influence on our global society increases, opportunities for economic, political and environmental partnerships between our two countries multiply. My hope is that we are providing our students with the skills and cultural sensitivity to engage actively in those opportunities. The Asia Society’s website for Chinese language education, AskAsia.org/chinese, has an abundance of information for Chinese immersion educators. 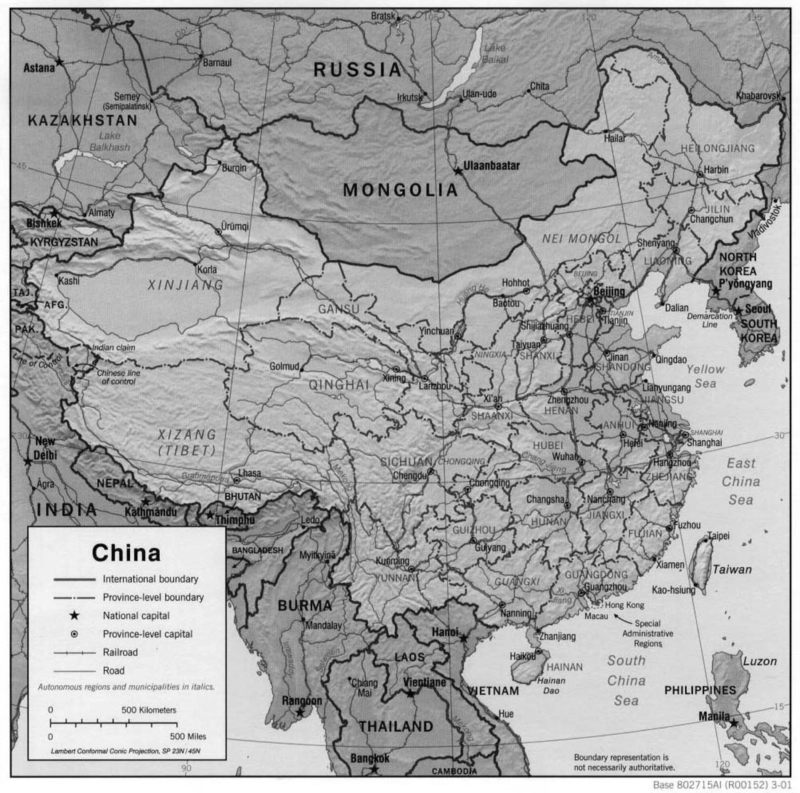 You will find timely information about conferences the Asia Society organizes, a handbook for starting a Chinese language program in your school district, resources for new and veteran teachers of Chinese, a directory of Chinese language programs in the U.S. and much more. The American Council on Immersion Education Newsletter’s editorial staff would like to thank the Asia Society for permission to reprint the article, “Reflections on Administering an Elementary School Mandarin Immersion Program” which was originally published in an electronic newsletter dated July/August 2007: http://askasia.org/chinese/announcements/newsletter0707.htm. Other articles about Mandarin immersion include an introduction to immersion education by Tara Fortune from CARLA, an immersion student voice, and an immersion parent’s reflection on Mandarin-medium education. You can subscribe to the newsletter or peruse past issues by clicking on the newsletter link on the homepage of askasia.org/chinese.